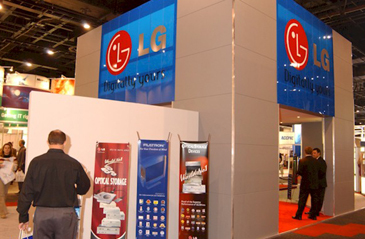 LG Electronics will construct a large-scale factory in Russia in the first half of this year to locally produce household electronic goods, industy sources said recently. 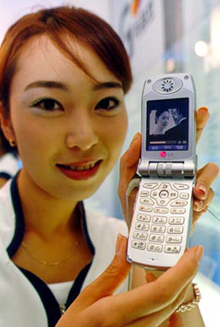 The LG factory will be South Korea's first major factory for producing electronic goods to be built on Russian soil. The factory will be constructed on a 39.5 hectare site in Ruzsky, some 27 km west of Moscow. LG Electronics has recently completed a feasibility study for the project. The new factory is aimed at meeting the demand for large-size household electronic goods in the internal Russian market. At the same time, the factory will serve as an industrial base for the European market on the long-term bases, according to the company sources. LG Electronics is gearing up for establishing a factory to locally produce large-size electronic good to meet the growing demand in Russian market. When completed, the LG factory will start manufacturing large items, including TV sets, refrigerators, washers, and audio equipment. With this project Russia will become the fourth foreign country to have an LG Electronics factory within its territory. Currently, LG Electronics has three factories in foreign countries — a factory for producing TV monitors in Great Britain, a factory for manufacturing TV sets in Poland, and a factory for making telecommunications equipment in Romania. So far, transportation costs for export have been quite costly for the South Korean electronic giant. LG Electronics has been using railroads in Vladivostok and in Siberia or through Europe to export electronic goods to Russia, where demand for large-size electronic goods is very strong. The electronic goods for export to Russia are currently produced in the industrial cities of Changwon and Gumi in South Gyeongsang Province. South Korean electronic goods are hugely popular in the Russian market. A report from the Korea Trade Investment Agency (KOTRA) shows that South Korea's market share for washers in Russia soared to 33 percent in 2004 from 9 percent in 2002. 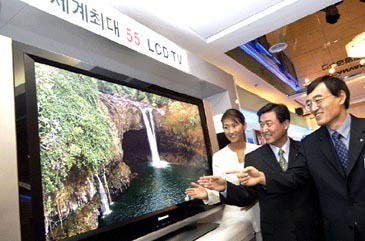 South Korea's market share for TV sets is the largest with 25 percent in 2004. In the meantime, another global electronic powerhouse, Samsung Electronics, is said to have studied the chances for setting up its factory in Russia, according to the industry experts. The experts said that when winding up the current consultation with Russian authorities on tax and legal issues, Samsung Electronics will establish a factory for electronic goods. Ms. Elena Pyagay, who majored in Neurology at St. Petersburg Medical University, serves as staff reporter for The Seoul Times. The Korean-Russian MD praticed medicine in St. Petersburg before she came to Seoul. She also studies Korean Language at the Seoul National University.